Hope you're having a fab week guys, any plans for Halloween? I won't be donning a scary mask but most likely one of my favourite face masks (which I sure Hang would say I look pretty scary!) When I have any skin woes I find a face mask always does the trick. It's probably the change of season but my skin has been playing havoc and looking less fresh and more dull. 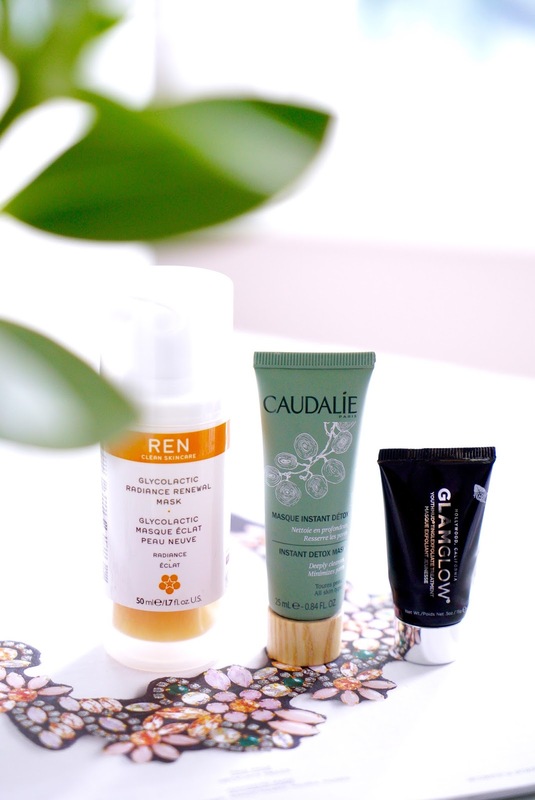 Having combination skin that's blemish prone, I find my skin can be high maintenance but these 3 face masks are my go to for clearer and brighter skin, hurray! I remember the hype with the GlamGlow masks and I was kinda put off with the price. Anyway last Christmas I received a gift box which included the GlamGlow YouthMud and I was really excited to try it out. It's a 15 ml sample size and it's lasted me for nearly a year, it's powerful stuff and you don't need a lot! This exfoliating mud mask claims to awaken your skin, reviving and brightening it. It's a very thick texture containing volcanic rock and mineral ask, French seas clay and pieces of green tea leaf and a whole load of other natural ingredients. I used this mask on my t-zone and any annoying breakouts, leave for 10 minutes to let it work it's magic. It dries completely on your skin and you can see your pores opening up, I don't feel a tingle on my skin though? I then gently massage the mask on my skin before rinsing off as this helps exfoliate my skin and leaves it refreshed and bright. It also helps keeps my spots at bay and not get worse, which is a good thing. I would happily purchase again as it's an arsenal against my skin woes! It's great these masks come in sample sizes so you can try them out beforehand and I can imagine the full 50ml lasting you for ages. 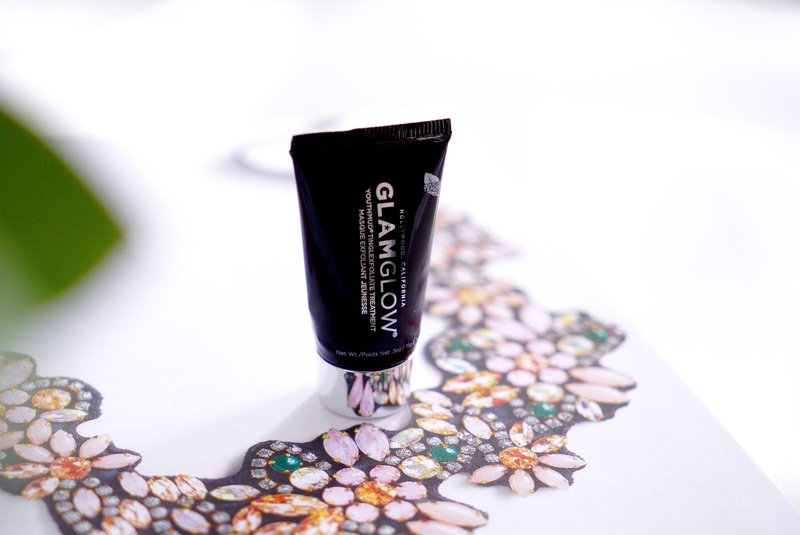 Have you tried GlamGlow, which one is your favourite? You know I got to include a mask from my go to skincare brand, Caudalie. 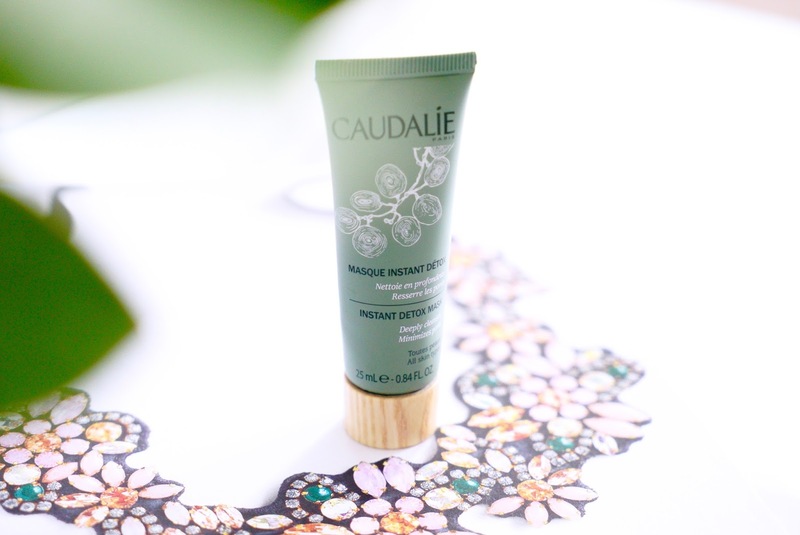 This Caudalie detox mask does not disappoint and the name says it all - detox for your skin. It claims to purify stressed skin, instantly detoxifies with it's natural clay formula leaving your skin more refined. I've tried a lot of clay mask and this one is by far the softest texture, it's a real treat to use on the skin with it's lavender and chamomile scent. The pink clay doesn't feel hard or uncomfortable on your skin but very gentle and creamy. I leave for 10 minutes and you can see the pink clay darken on your skin and yours pores becoming visible, clearing them out! My skin feels soft and smooth afterwards, no tightness or dryness. This 75 ml tube last for ages and I use it quite regularly. Also the packaging is so lovely with the green tube and faux wooden lid. 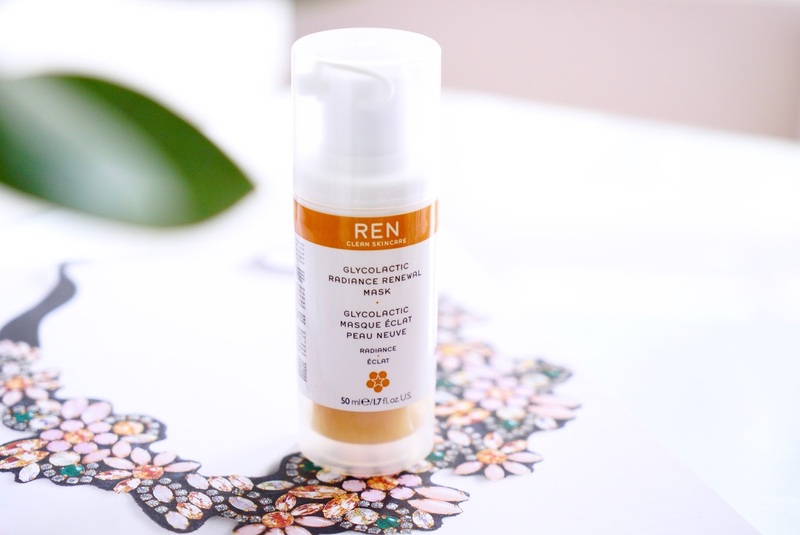 I'm sure you've heard of Ren's iconic Glycolatic Radiance Renewal Mask*, the orange jelly textured mask is packed with a mix of acids - Glycolic, Lactic, Citric and Tartaric acids all combined to exfoliate, decongest and purify the skin. It remove dead skin cells to brighten up your complexion. This is one of the first 'acid' masks I've tried and it does a great job at brightening up dull skin. I love using this mask when I want a real pick me for my skin, leave on for 10 minutes and feel just a slight tingle. Remove with the cloth provide and rinse off with warm water. It's like a mini facial, removes those skin cells and leaves your skin nice and glowy - love it! 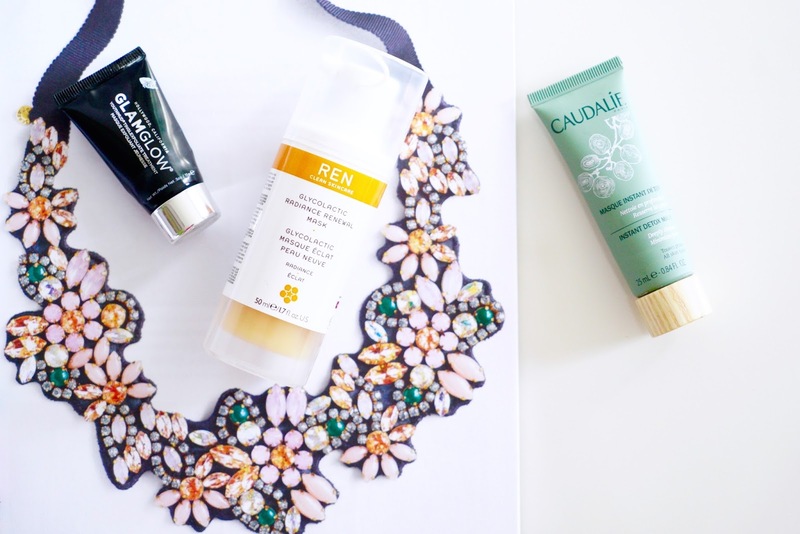 Ren have an great offer on at the moment with 30% off their face masks starting this week from 26th - 31st October, just use the code MASK30. So make sure you pick up your favourite masks this week! I would love to try their invisible pores and clarity restoring mask. On a side note, I want to say thank you so much for your kind comments on my feeling lost with blogging post. It was the post I needed to give myself a break. 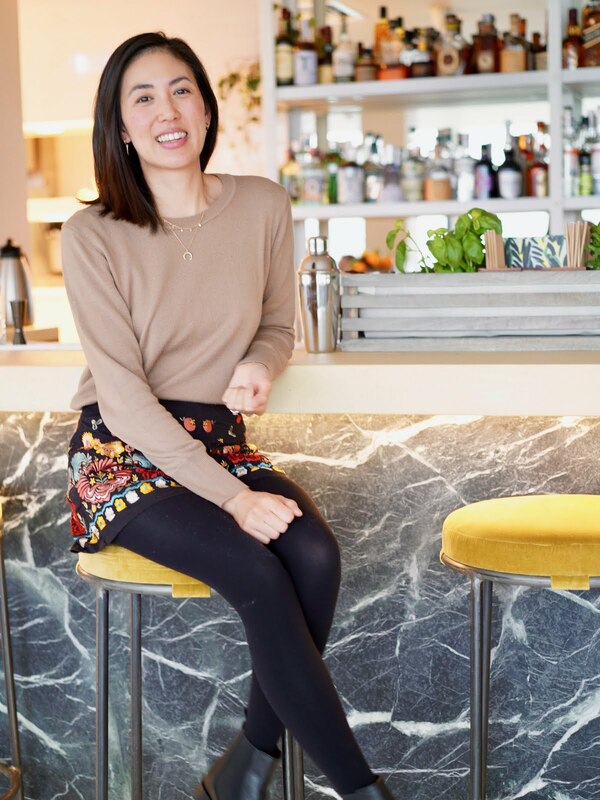 I haven't thought about blogging for over 2 weeks and I'm still going to take my time to find my way, so hope you guys will stick around :) I would love to know what you've been up, I miss chatting to you guys! *PR sample, all opinions my own.